I wanna do the 15x7 in front and 15x8 in the back.. my buddy was telling me to get the right offset so i dont end up rubbing anything? I pretty much know nothing when it comes to rims.. so what do you guys reccomend? has anyone put these things on their fb's? pics possible? what offset/tire size should i get? Won't fit. Judging by your pic you have a 12A powered 7. That means you have a 4x110 bolt pattern which these wheels do not come with. You can make them fit with adapters. Or you could do an SE suspension swap which will give you the 4x114.3 pattern that they are available in. Either way we are talking a good chunk of extra money and time just to fit a set of rims. You wouldn't be the first to do it though, so good luck. Both of those offsets are too high though. A 15x8 +20 with coilovers (which you will want eventually) won't even fit. A 15x7+20 will. with that bolt pattern you can run 15x8 zero offset or 15x7 and anything between about a 12 and 22 offset. I am running 15x7 Rotas on the front with 15x8 on the rear no problem. They are the 4x110 bolt pattern and the car is lowered with Racing Beat springs (rear are cut 1/2 coil).Here is a link to show (not a great photo though). i've been looking for rims for my fb for so long.. these are the ONLY ones i've liked so far.. They made the 92's in a 4x110 bolt pattern years ago. So, look around you might get lucky. I would recomend redrilling your axles and rotors to the bolt patern you want. Thats what i did. since you have the non se suspension you can run 15X8 0 offset all around but with a little stretch on the tires tho. but i think you would be ok with the 15x7 front and 15x8 back. have you looked at Konig rewinds? 1. i have a set of enkei 92's on my car, they did make them in 4x110 in the 80's and 90's. 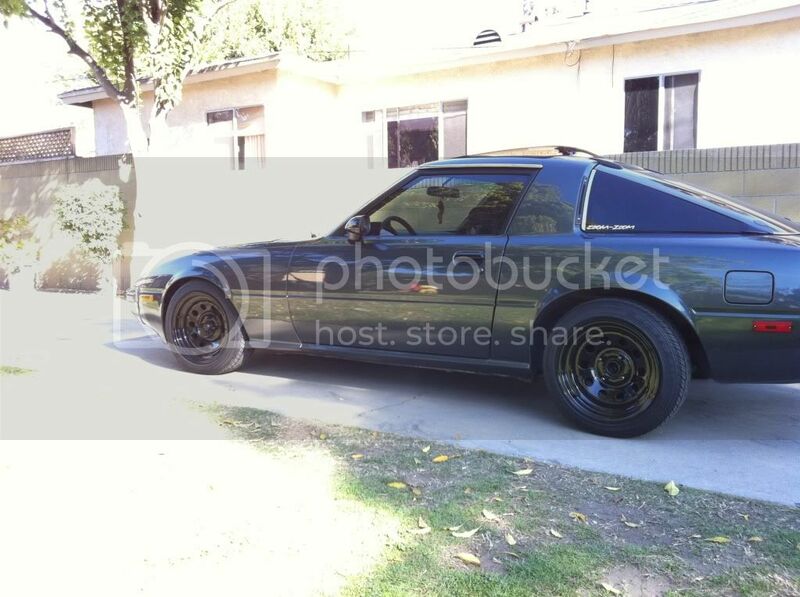 2. buy a new set of enkei 92's and redrill the rotors/axles to 4x114.3. 2b convert to GSL-SE suspension/brakes. FD exhaust mani to engine gasket on a 79 12A? Need help ASAP.